I’m in love with the Call the Midwife blanket. Obsessed. It’s the sweetest baby blanket and lends itself well to all sorts of colours and yarns. This pattern is relatively easy to do and after a few rows it just repeats. Ideal for those Netflix and Crochet marathons. I found a bunch of soft yarn at my local craft store and practically brought all the colours. Over the next few months I’ll be making a bunch of these blankets to sell on Etsy. The first one finished is the pink one. Love this so much. 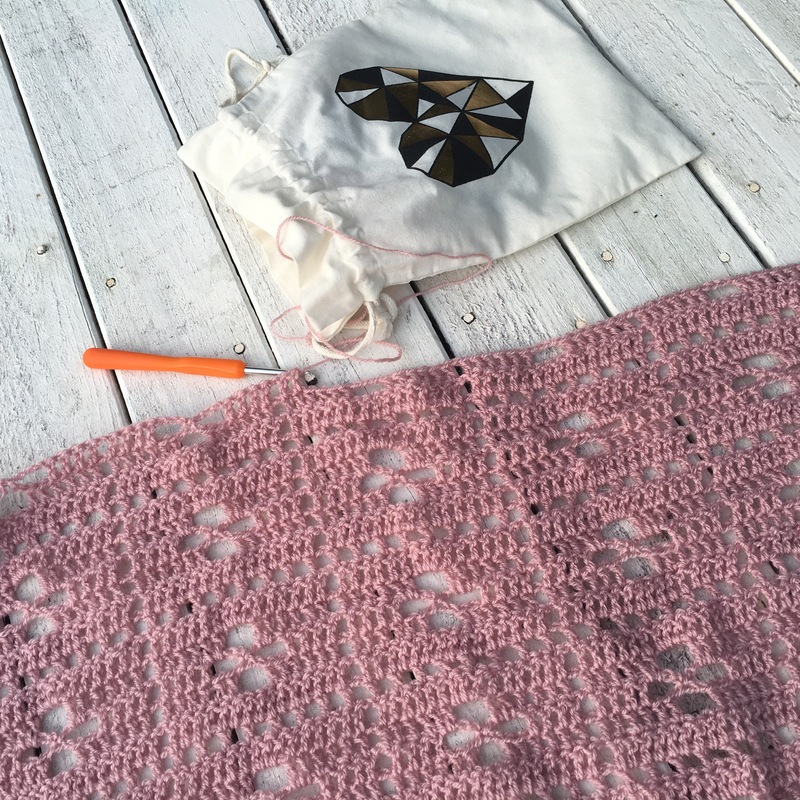 This is prefect for a stroller sized blanket and is soft and feminine. Very pretty and I love the dusty rose color.